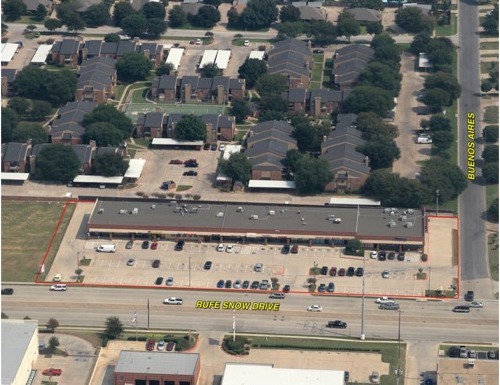 Rufe Snow Plaza is located at the NEC of Rufe Snow Drive and Buenos Aires Drive in N. Richland Hills, Texas. The center is conveniently located near neighborhoods, NE Loop 820 and Airport Freeway (SH 121). Tenants include Bosses Pizza, World Finance, Metro PCS, a dental office and other neighborhood services.